This is basically the basis of the Triangle offense and it is called Sam Barry's Center Opposite. This was considered to be the genesis of the Power Triangle and eventually began to evolve into the Triangle made famous by Tex Winter and Phil Jackson. 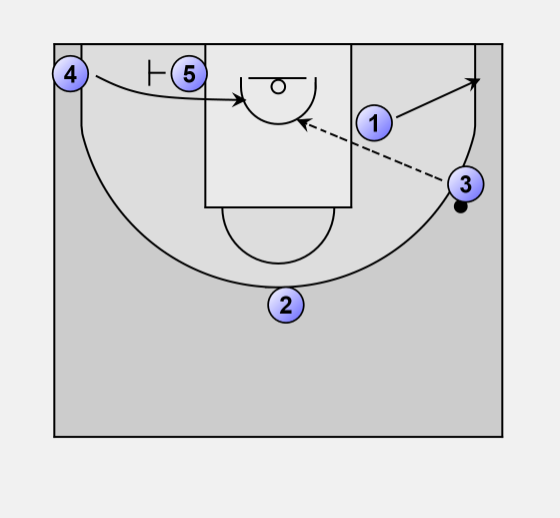 In this play 3 comes out to the three-point line and receives the ball from 1. 1 cuts to the basket. 3 checks if the pass to 1 is available for a quick score. In the meantime 2 moves to fill the position left open by 1. If 1 cannot get the ball he moves out on the corner. 2 fills the position from 1. 3 checks if 2 is open for a drive or a shot at the basket. 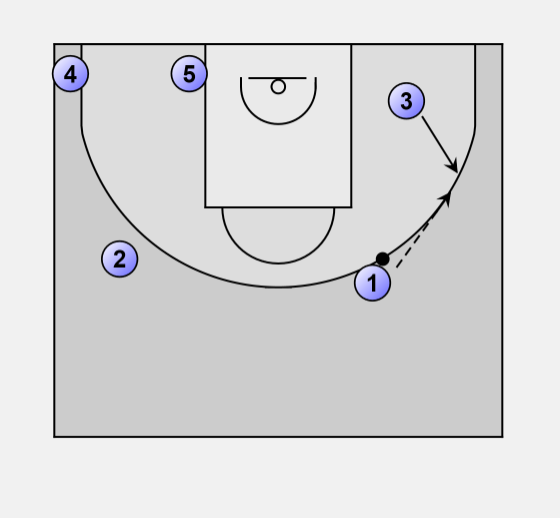 5 places a screen for 4, who's cutting towards the hoop. 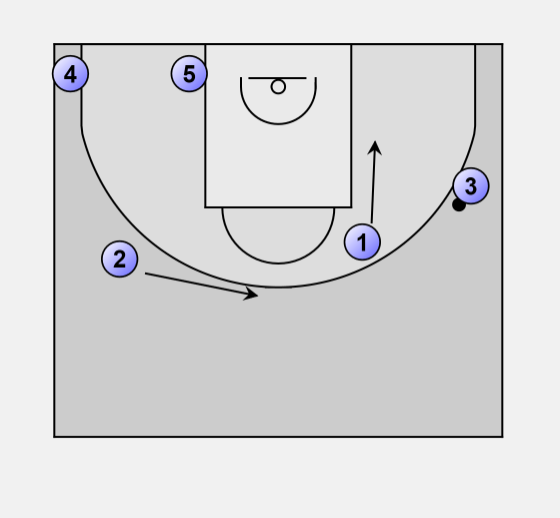 4 gets open underneath the basket and gets the pass from 3 to make a score. 4 scores easy points inside. 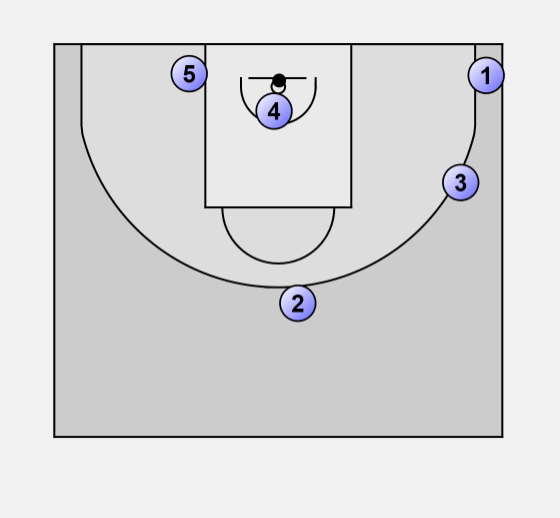 If the defense collapses on 4 he/she should be aware of the outside shooters (1, 2 & 3).